I received two books for my birthday. The first is Wild Color by Jenny Dean. 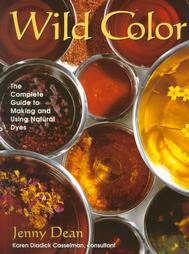 It is a wonderful book on making dyes from plants. So far I have tried three dyes. I will have to post pictures sometime. I have been wanting this book for a long time but it is out of print therefore hard to find(at least for a reasonable price). My sister was able to find it online and she got it for me. I have such a great sister. 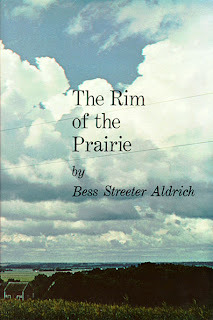 The second book is The Rim of the Prairie by Bess Streeter Aldrich. It is a sweet, simple story that takes place in a small prairie town. It is beautifully written. The characters are so real. You feel like a part of their joys, heartache, laughter, and trials.